The 2017 Barbasol Championship golf tournament on the PGA Tour is taking place this week from July 20-23, 2017, on the Grand National Course at the Robert Trent Jones Golf Trail located in Opelika, Alabama Here is a list of the prize money up for grabs this week for the PGA golfers at the 2017 Barbasol Championship. The Barbasol Championship is an alternate event on the PGA Tour for the British Open and it dates back to 2015. Scott Piercy was the inaugural winner and Aaron Baddeley from Australia is the defending champion. PGA Tour players who did not make it into the 2017 British Open can play in the Barbasol Championship this week. Players earn reduced FedEx Cup points and prize money this week and the winner of the Barbasol Championship does not get a Masters invitation but the winner does get a full two-year PGA Tour exemption just like the winner of a regular PGA event. The field for the 2017 Barbasol Championship is pretty good. 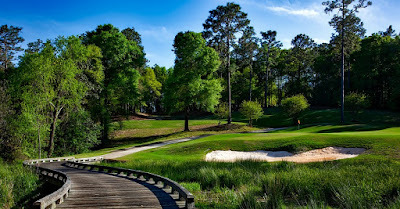 It includes a number of golf major winners like Jim Furyk, Davis Love III, Angel Cabrera and Retief Goosen along with well known players like K.J. Choi, Hunter Mahan and Y.E. Yang. Total prize money up for grabs at the 2017 Barbasol Championship is $3.5 million. The same amount of prize money that was up for grabs in this PGA Tour event last year. The winner of the 2017 Barbasol Championship will earn $630,000. That's the same amount of of prize money that Aaron Baddeley earned when he won this tournament last year.